Jo Lieb is an English teacher, writer, poet and public education advocate. Jo Lieb’s blog is called Poetic Justice. Today Poetic Justice features a guest post from Dr. Jesse Turner, a college professor and leading public school activist. I loved the reverence and respect you showed our flag every morning. I am bewildered by leaders who say teachers are the essential ingredients to success, and then in their next breath say our teachers are not good enough. 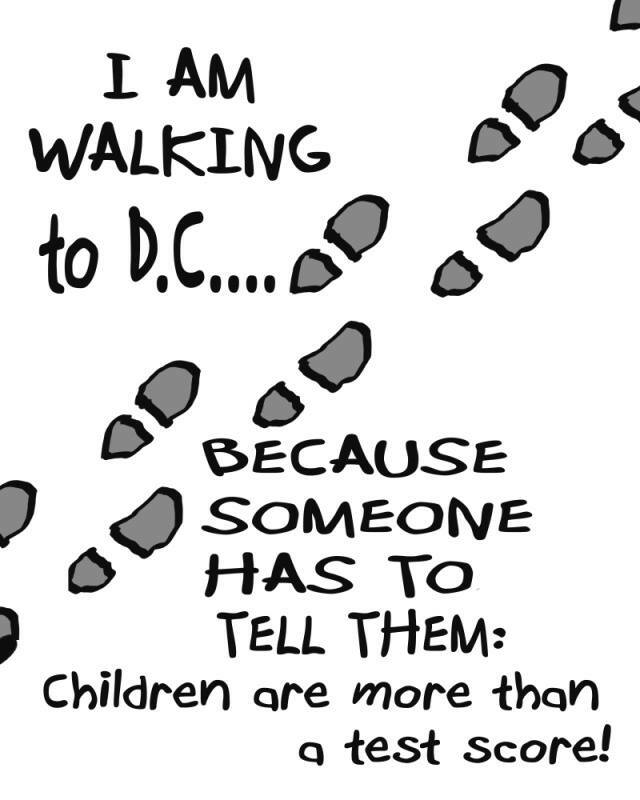 Yes, I love public education; enough to walk to Washington DC again in 2015. You are all invited to take part in Jesse’s 400 mile walk from Central CT to Washington DC beginning this June 11th. Jesse be walking to protest the education malpractice that is demoralizing parents, teachers, and turning our children into human capital. He will be walking 400 miles in 40 days. Please check out his FaceBook Event page.